The Profound Treasury of the Ocean of Dharma represents Chögyam Trungpa's greatest contribution to Western Buddhism. 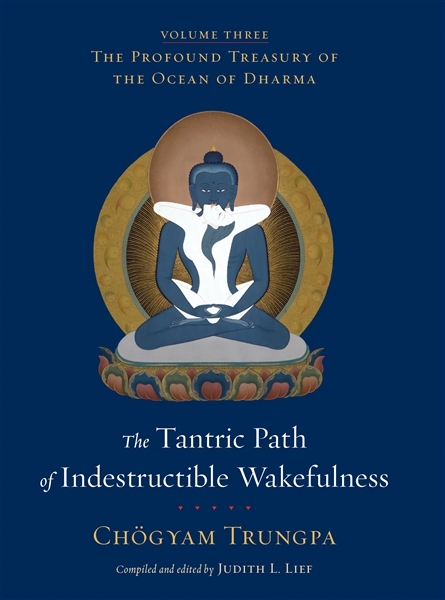 This three-volume collection presents in lively, relevant language the comprehensive teachings of the Tibetan Buddhist path of the hinayana, mahayana, and vajrayana. 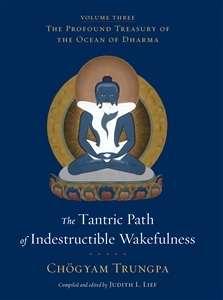 The third volume, The Tantric Path of Indestructible Wakefulness, presents the vajrayana teachings of the tantric path. The vajrayana, or "diamond vehicle," also referred to as tantra, draws upon and extends the teachings of the hinayana and mahayana. There is an emphasis at this stage on the student-teacher relationship and on the quality of devotion. Generally, students must complete preliminary practices, called ngöndro, to prepare themselves for initiation into the vajrayana path before going further. The vajrayana includes both form practices, such as visualizations and sadhanas (ritual liturgies), and formless practices.